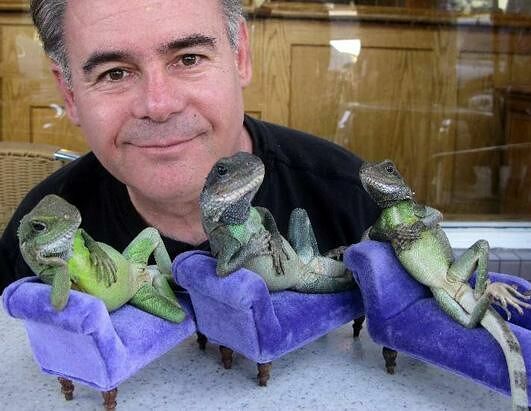 Henry Lizardlover owns a lot of lizards, hence his name. The 53-year-old photographer (who changed his surname from Schifberg) has around 50 of them in his home in the Hollywood Hills and he loves nothing more than to pose them on miniature furniture like sofas and hammocks, or in rickshaws or with a guitar. 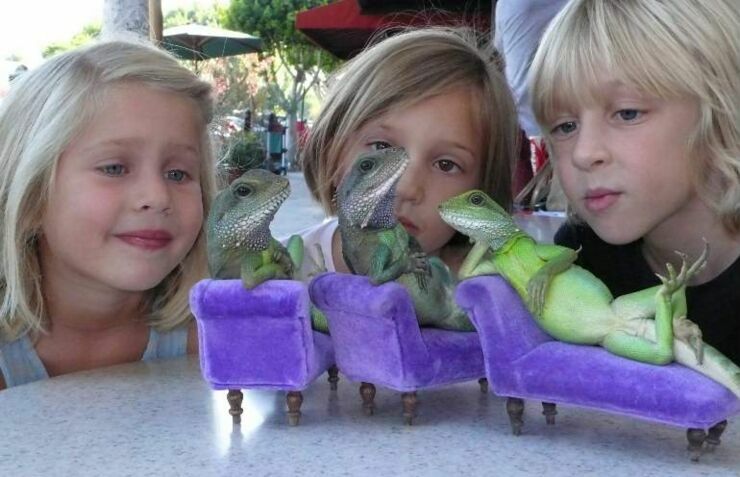 Because lizards are very still creatures naturally this makes posing them far easier, and the resulting photos are nothing short of hilarious. 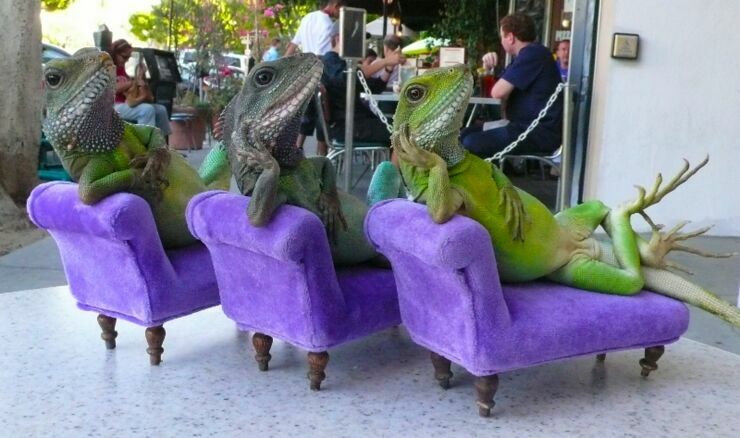 "When they are calm and relaxed they like to sit in chairs. 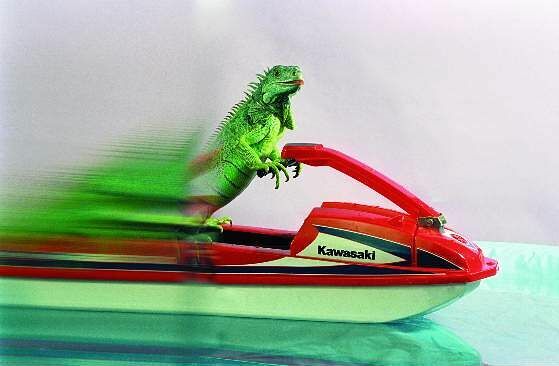 When I get lizards to ride on a waterski they just love it." Henry says. 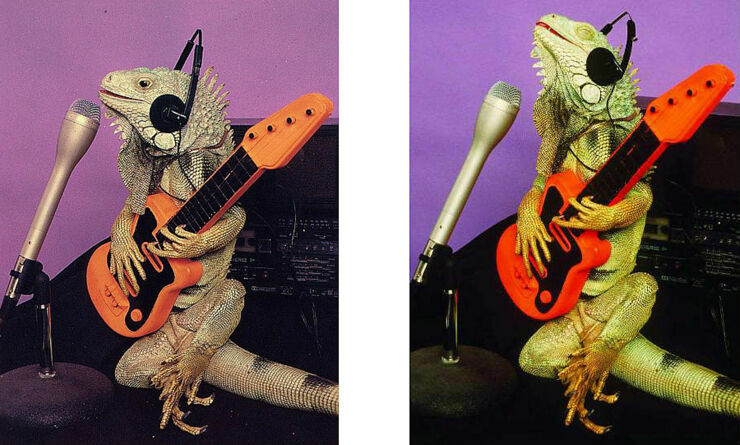 "And when I get one of them to hold a guitar he will just stand there for half an hour because lizards are really comfortable doing that. 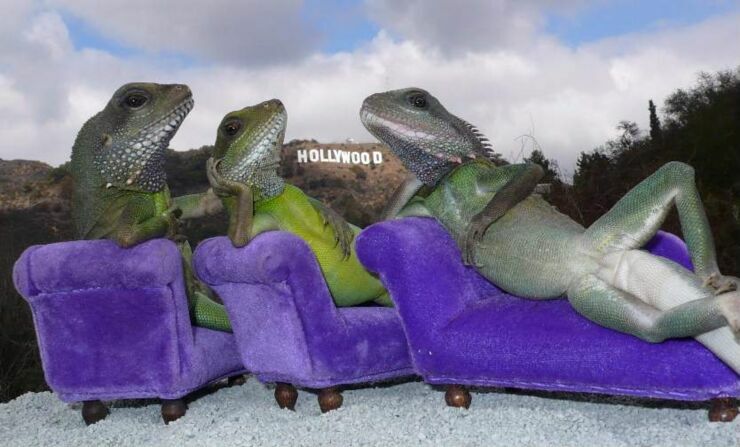 I have been living with them in my house since 1982 and I have always had 30 to 50 lizards living with me." 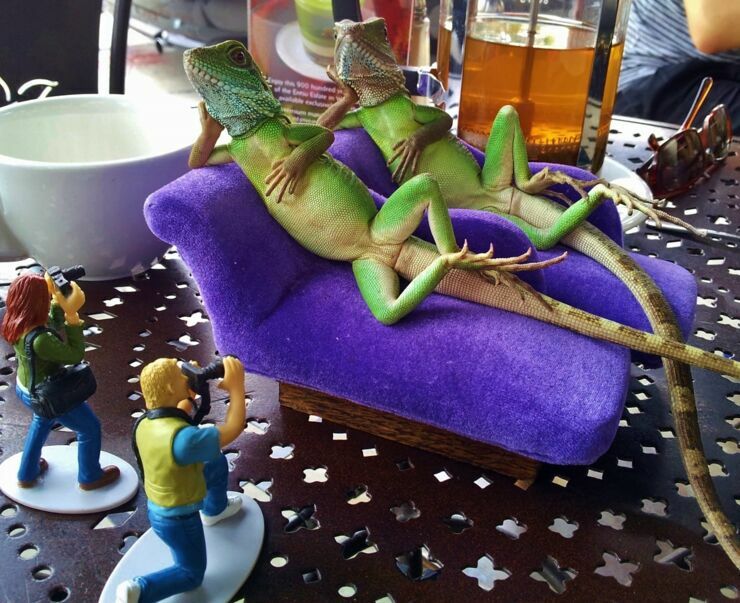 The photographer first realised how posable lizards are when he got his first iguana. 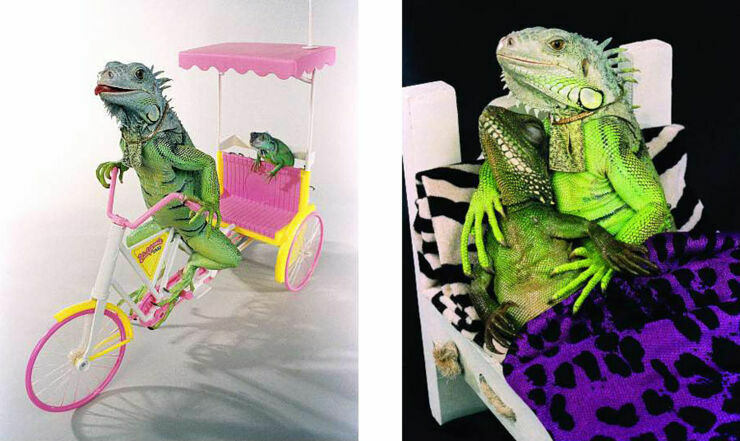 The iguana was very calm and trusting so he tried posing him in different positions. It worked out well so he tried it on other lizards too. 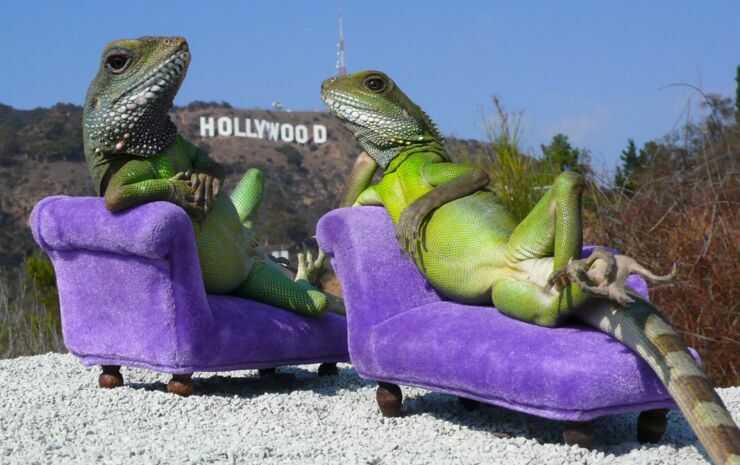 "Lizards will only do this if they are comfortable. It doesn't cause them any pain or discomfort." Henry explains. 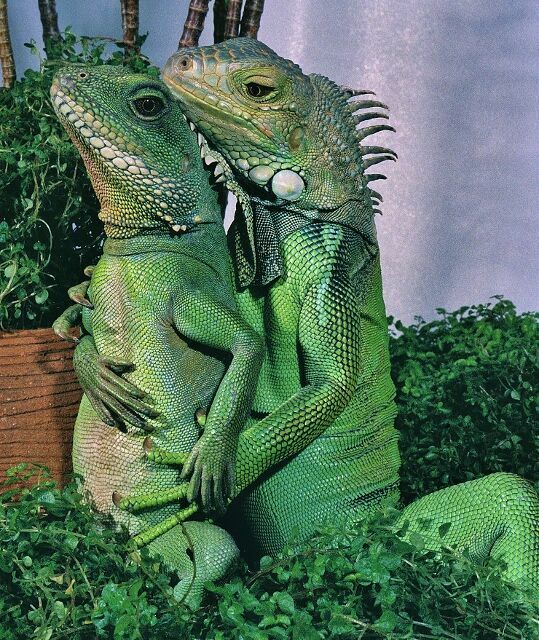 "Many lizards are nervous. And many are not suitable as pets. 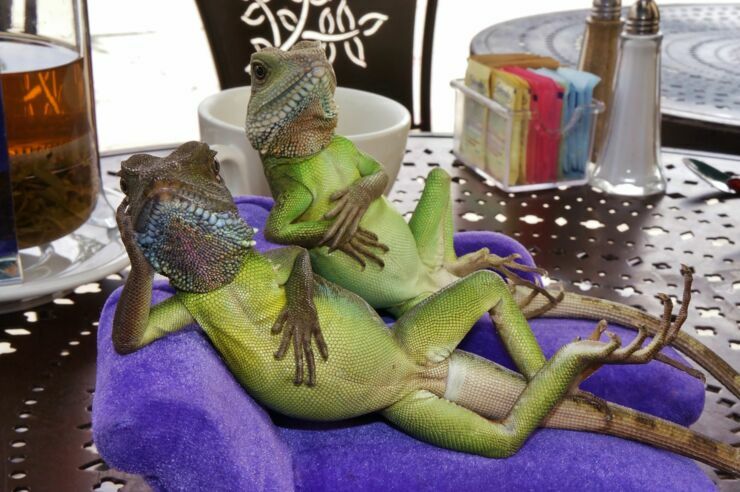 Out of 50 or 60 lizards, only one or two are going to be calm enough to be posed up like this."